The author traces the phenomenon of ascribing sentimental meaning to floral imagery from its beginnings in Napoleonic France through its later transformations in England and America. At the heart of the book is a depiction of what the three most important flower books from each of the countries divulge about the period and the respective cultures. 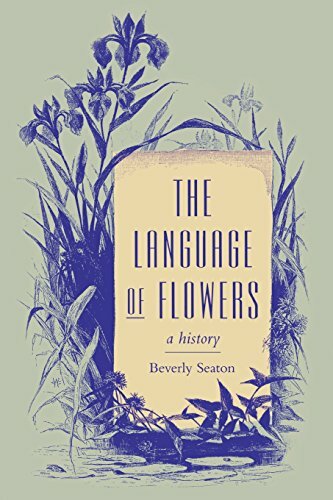 Seaton shows that the language of flowers was not a single and universally understood correlation of flowers to meanings that men and women used to communicate in matters of love and romance. The language differs from book to book, country to country. To place the language of flowers in social and literary perspective, the author examines the nineteenth-century uses of flowers in everyday life and in ceremonies and rituals and provides a brief history of floral symbolism. She also discusses the sentimental flower book, a genre especially intended for female readers. Two especially valuable features of the book are its table of correlations of flowers and their meanings from different sourcebooks and its complete bibliography of language of flower titles. This book will appeal not only to scholars in Victorian studies and women's studies but also to art historians, book collectors, museum curators, historians of horticulture, and anyone interested in nineteenth-century popular culture. If you have any questions about this product by University of Virginia Press, contact us by completing and submitting the form below. If you are looking for a specif part number, please include it with your message.